Recently, we have developed a round PP pot with screw cap for the top segment in the ice cream industry. 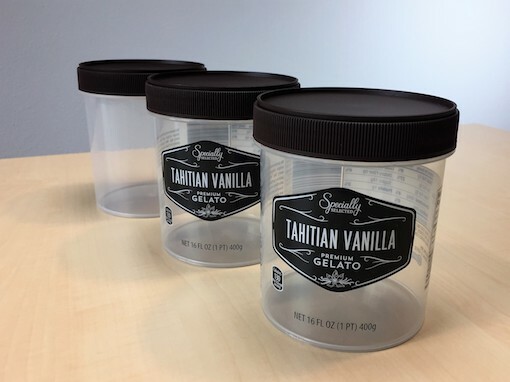 This 500ml pot, which is part of a new range to be developed, is an extremely cost-effective alternative to a PET packaging. This provides SFA with the increasing demand for this kind of packaging. This package is also very suitable for other cold and warm applications. It is also possible to provide both the pot and the lid with IML. In addition, it should be possible to equip the pot with a UV or oxygen barrier. If you would like more information about this pot or if you would like to request samples, please contact us at info@sfa.nl or +31 187-601160.